Did you miss a chapter of the, "The Chocolate Touch"? Would you like to watch it from start to finish? 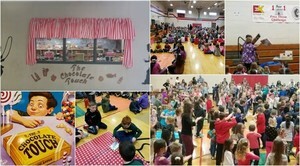 Click here to watch all chapters of, "The Chocolate Touch" as read by community members of Sullivan. 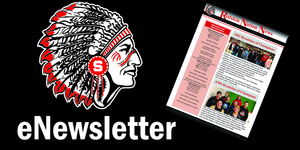 Click to view the current eNewsletter! 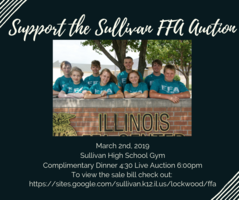 The Sullivan High School Yearbook Class is hosting a dinner to raise funds for students to be able to attend workshops and purchase new cameras. Send in your pictures to our new yearbook inbox! 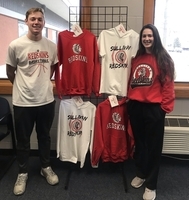 SHSYearbook@sullivan.k12.il.us. 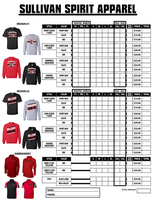 Ad space available for the 2019 Retrospect Yearbook. 2018 SHS Yearbook are available. 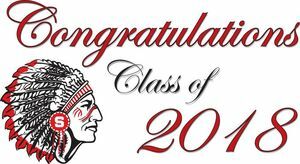 The 2018 SHS yearbooks are available. 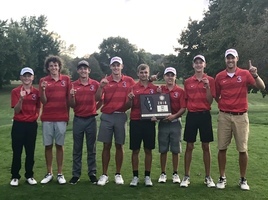 SHS Varsity Boys Golf competes today in the IHSA Class A State Golf Meet at Prairie Vista Golf Course in Bloomington, Illinois. Sullivan's first tee time is 9:24 AM.#OneTribeClick here to watch a send off video! If you caught a great action shot of SHS kids, send in the picture at SHSYearbook@sullivan.k12.il.us. 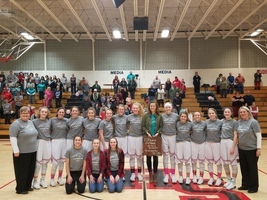 Contact Sarah Britton @ brittons@sullivan.k12.il.us to pickup a yearbook for a graduated student or if you or interested in a previous year's yearbook. 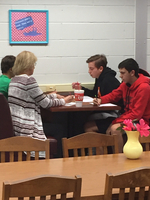 Contact Sarah Britton @ brittons@sullivan.k12.il.us to have a staff member meet with you. Two of the three school Principals pictured that all came to lend a hand in putting 270 iPads into cases.Thank you Mr. Allen, Mr. Ogle and Mr. Young for your help today! Click for a list of dates. 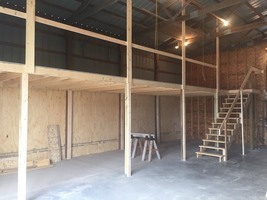 The Graduation will be available live! Use this link to watch it live. Be sure to join our YouTube channel to be alerted anytime we are live!Starting on May 20, 2018 @ 2:30, Click to watch! 1st Grade sending off Ben to State. 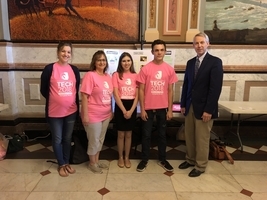 Kaitlynn Snelling and Atticus Harris at Tech 2018 at the Illinois State Capitol Building. Meeting with Representative Brad Halbrook discussing the technology we have at Sullivan Schools and how it impacts our students’ education. Sullivan had 14 students participate in Special Olympics at Eastern Illinois University on Friday, April 27th. 7 of the athletes are advancing to the summer games being held at ISU in June. It was an enjoyable day for all involved. We are so proud of our athletes! Aaron Schrock was a torch runner in the 40th year celebration at Eastern Illinois Area Special Olympics. Let The Games Begin! 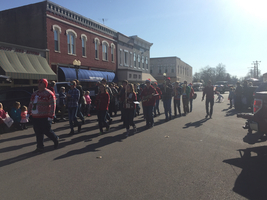 SHS Band in the 2017 Sullivan Christmas Parade. Watch the reveal video from One Book One Sullivan. 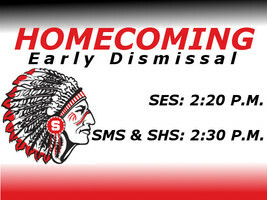 The SES will be dismissing at 2:20 P.M. today.The SMS and SHS will be dismissing at 2:30 P.M. today.Homecoming Parade: 4:00 P.M.Homecoming Game: 7:00 P.M.
Our kids are having a blast at Hand in Hand Kids Camp. 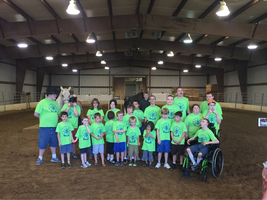 This week they enjoyed horseback riding at Paradise Equestrian Center in Charleston, Illinios. 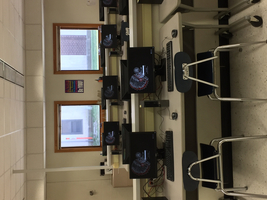 All computers at Sullivan CUSD #300 are being upgraded to Windows 10. Windows 10 will offer more flexibility as well as continued support from Microsoft.